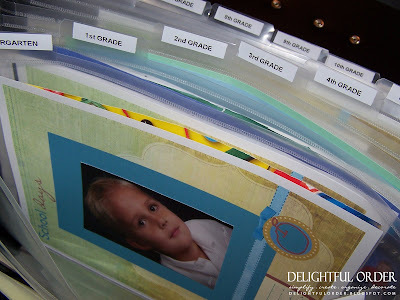 If you have children, then you understand that each child collects a lot of papers from school, awards, report cards, artwork, photo's etc. Some of these things I want to save for my boys' keepsake memory books that I will eventually finish as a graduation gift for each of them. 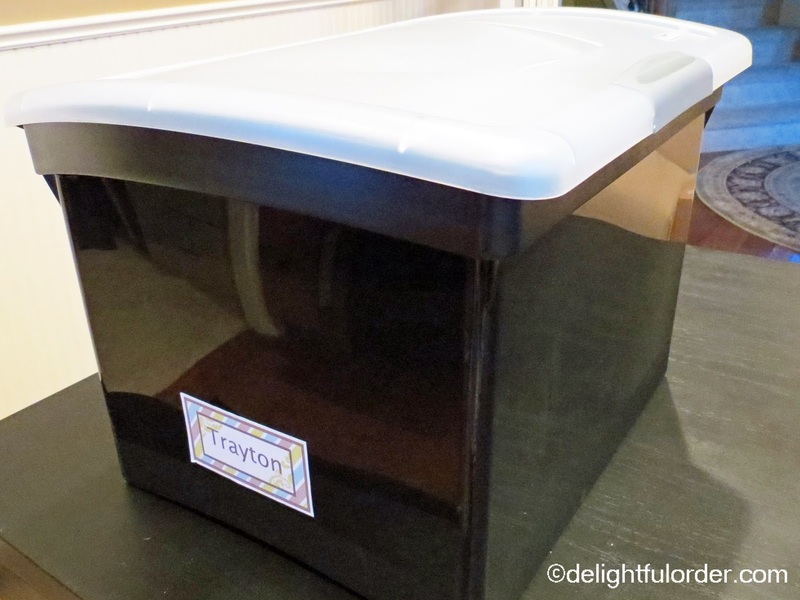 I've created a large file box for each of my boys. You can find these boxes in my Amazon Store Here. 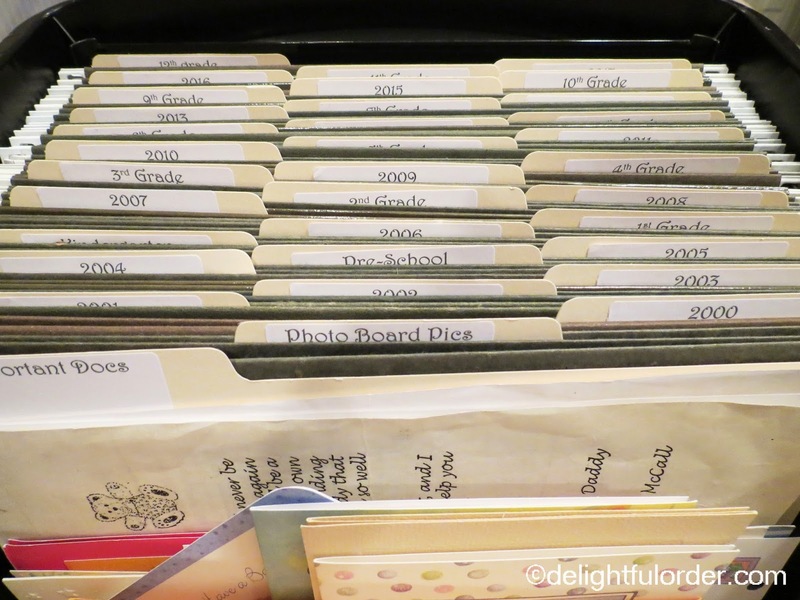 Inside each box, I have file folders organized by year/grade. As the boys come home with a piece of art work, a report card, etc. I simply slip it into the correct file. Setting this system up has made it so much easier to keep everything together. 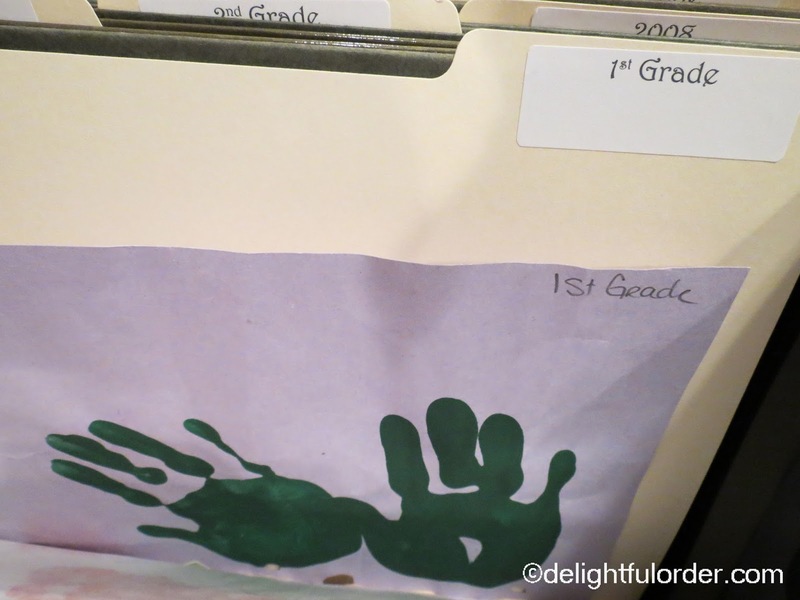 Sweet little hand prints from 1st grade is definitely worth keeping and adding to their keepsake albums. Diplomas, etc are worthy of keeping as well. I even slip photo's from the year into these files too. 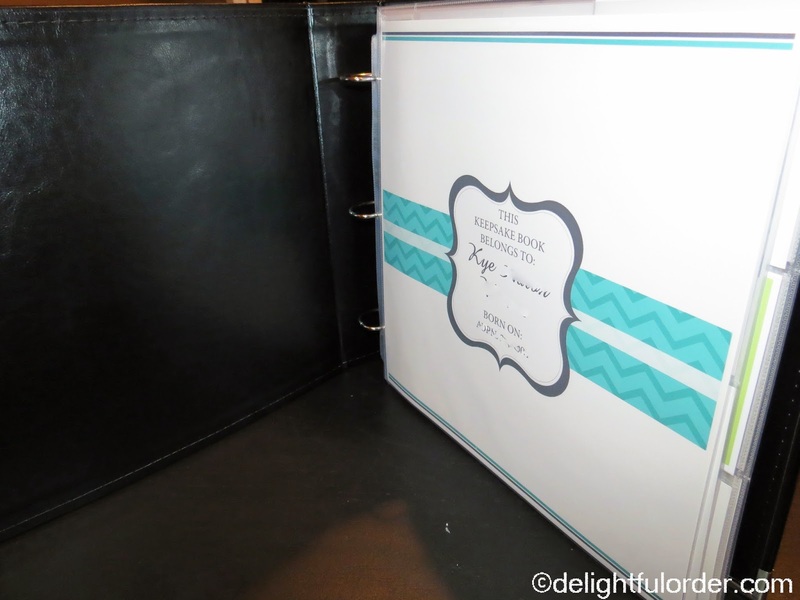 anything that I would like to add to their keepsake albums go into these files. 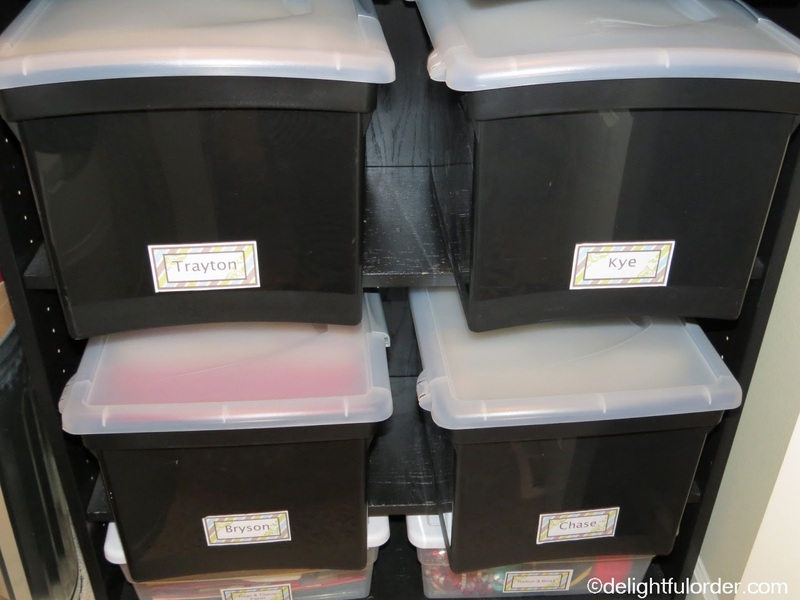 I store the boxes in my office/craft room closet on a bookshelf. Well since then I have changed my mind and decided that it'd be much easier to have EVERYTHING all together and in one place, including school papers, photo's, art, etc. So I no longer use this system. 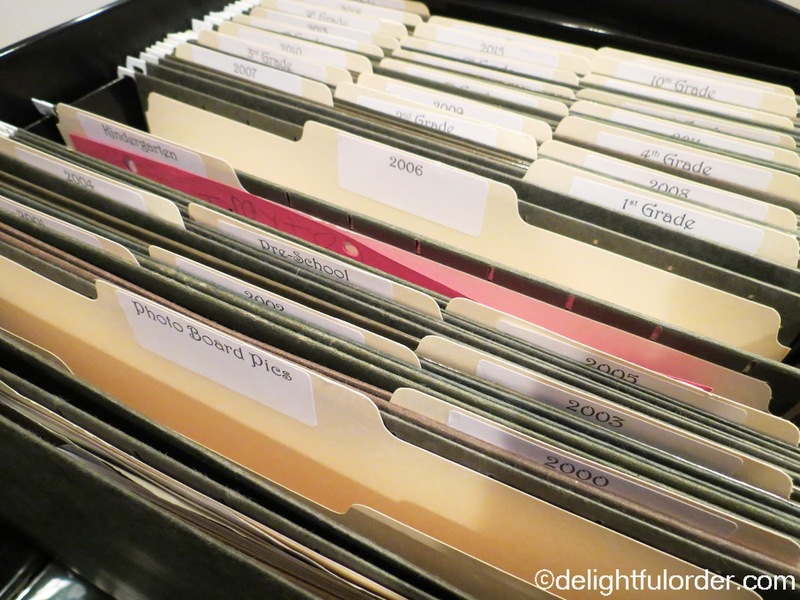 I use the file box system instead and it's been so much easier having it all in one place. Like I said earlier, it will take me years to finish these books. Here is a little sneak peek at one of the inside pages. 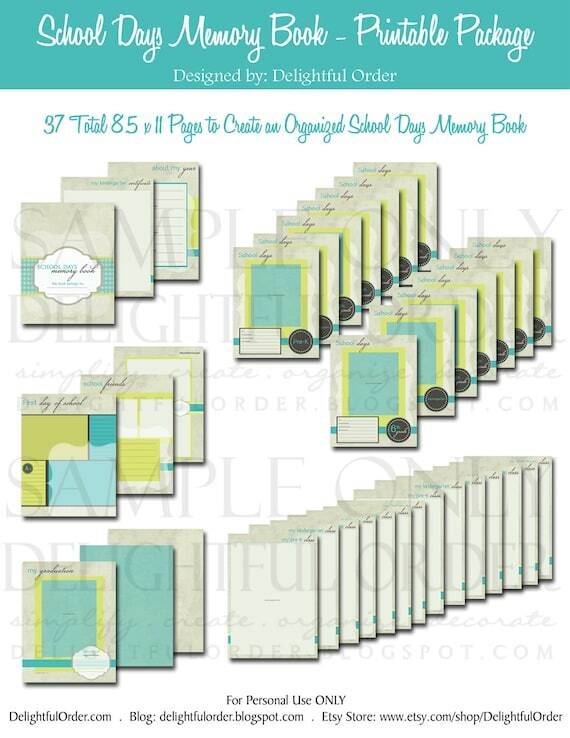 I am creating my own full page 12x12 scrapbook layouts and I sell them in my Etsy Shop Here. 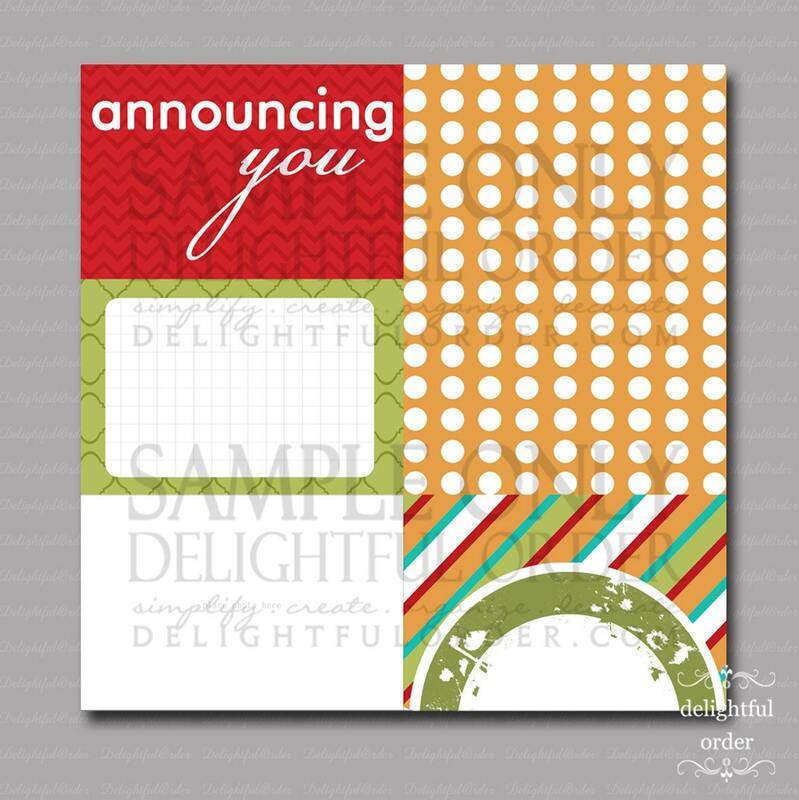 You can find the Announcing You Page (shown above) in my shop HERE. Simply click the photo's above to be directed to the items in my shop. 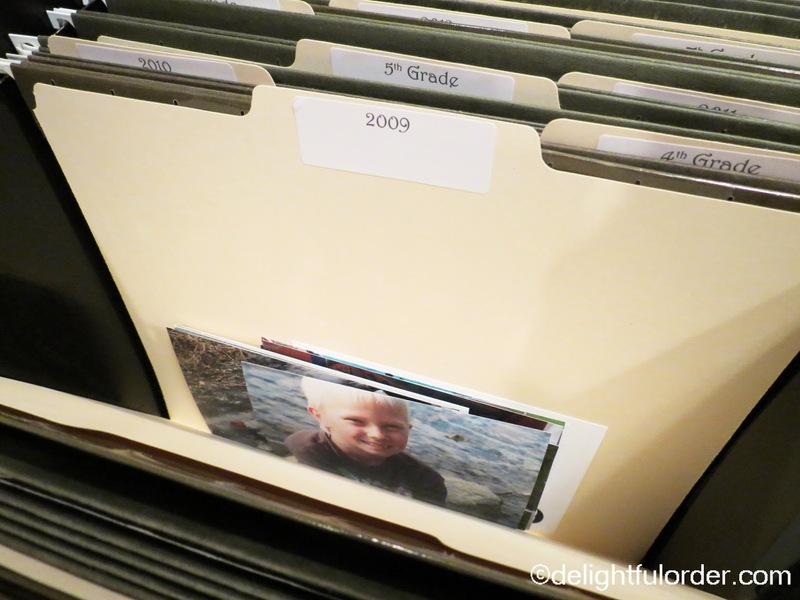 .. and that is how I organize my children's keepsake items. What a great idea! 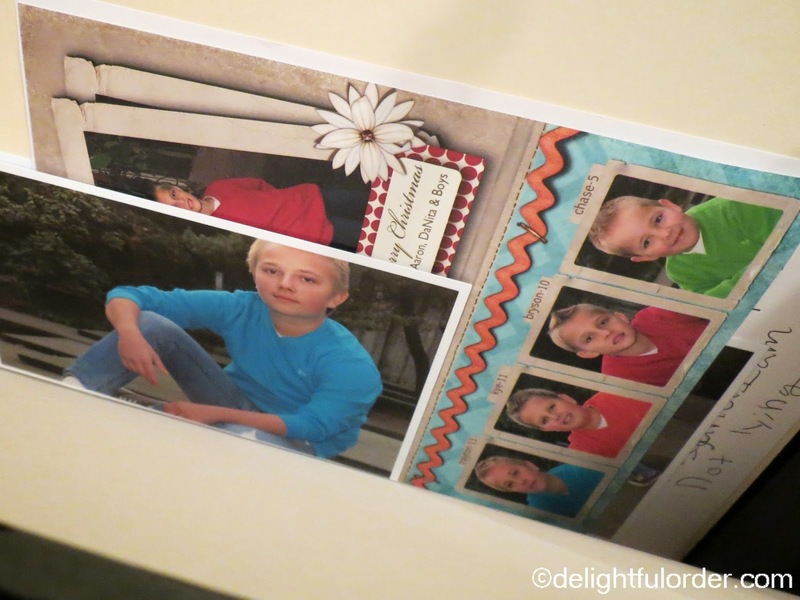 I too scrapbook my kid's! I am way behind and have unorganized containers at the moment :( Maybe I can step it up! You are so organized I love it! I really need to work on keepsake boxes. 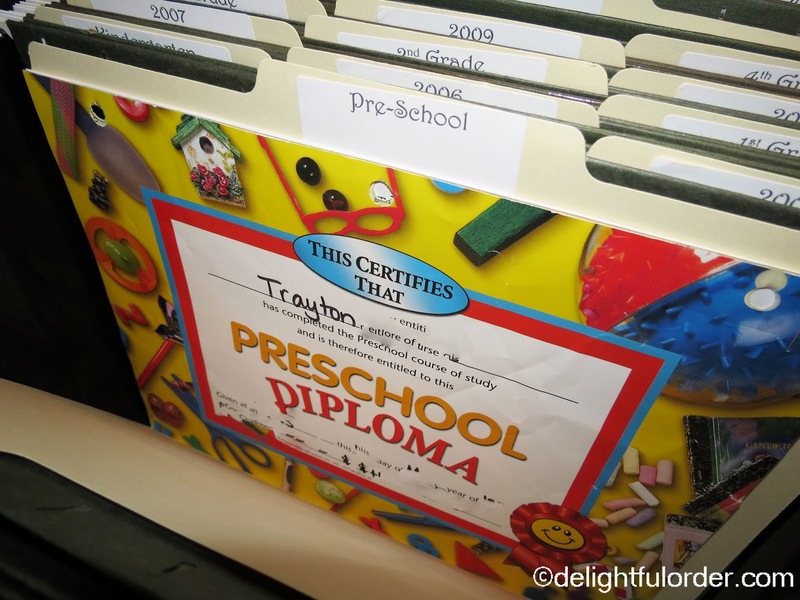 My son is in preschool this year and I have so many things I need to organize for him. How very cool! I wish I had done that with my kids! If anyone reads this comment and doesn't... START! You won't regret it! Well if this isn't the most brilliant idea ever I don't know what is! This is a struggle with many of our clients. Great idea! I'm curious what you do with the things that don't fit into your file box? I keep looking to see if you've posted any baby pics yet. I know it's been a while and I think you were due a few months ago. Anyway, I hope you enjoyed your time off and perhaps if you get a moment, you could post some details of your new son. 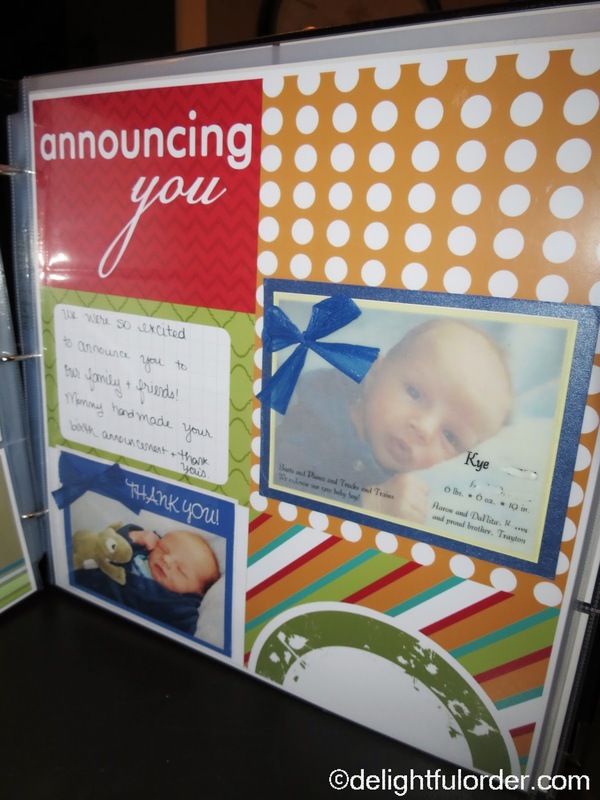 I'm dying to see your boys' memory books! I love the idea of everything being in one spot. Did you post a follow up about them that I missed?